New Rules, And No Naps, For Air Traffic Controllers After several air traffic controllers were found sleeping on the job in April, the Federal Aviation Administration issued new rules that extend the required time off between shifts. The air traffic controllers' union has endorsed the changes, but critics argue the FAA should implement an organized napping system to prevent fatigue. The air traffic control tower at Virginia's Dulles International Airport. The Federal Aviation Administration has issued rules for air traffic controllers after a spate of incidents exposed controllers sleeping on the job. Every time airline passengers travel, air traffic controllers across the nation are monitoring and guiding their flights from gate to gate. But after several air traffic controllers were found asleep on the job in control towers across the country in April, the Federal Aviation Administration issued new rules Sunday that extend the required time off between controllers' shifts from eight hours to nine. The changes come as the FAA conducts a comprehensive study into controller fatigue and shift scheduling. The controllers union, the National Air Traffic Controllers Association, has endorsed the FAA's new rules, but many controllers argue that the changes do not go far enough to address worker fatigue, particularly when many controllers work grueling, irregular schedules. In addition to the new scheduling rules, critics say, the FAA should implement an organized, on-the-clock napping system to prevent fatigue. An FAA panel had previously recommended a proposal to build such rest times into air traffic control shifts. U.S. Department of Transportation Secretary Ray LaHood, however, has rejected the suggestion, and the FAA's new administrator, Randy Babbitt, agrees. "We absolutely cannot and will not tolerate controllers sleeping on the job when they're supposed to be controlling airplanes," Babbitt tells NPR's Neal Conan. The FAA is working closely with NATCA, Babbitt says, to adjust scheduling practices to combat worker fatigue. "Some of the things we've done will provide better sleep opportunity, better rest opportunities so that they can arrive rested and ready to go to work." "It's problematic to try to stay awake," says retired air traffic controller Bob Richards. Richards, author of Secrets From The Tower, worked in the Chicago-O'Hare tower for 22 years. He points to the schedule common at many airports called "the rattler," in which a controller works two night shifts, two day shifts, and one midnight shift per week, as particularly difficult for controllers. "By the time you get to day four and five, you're pretty worn out," Richards says. Rest breaks during those latter shifts, in particular, he says, can be critical in helping controllers stay alert for the remainder of their work day. "At O'Hare, you could always see people when they were getting toward the end of their work week. As soon as they'd get off their position ... they'd go lay down on the couch." Increased scrutiny of controllers' break times could inhibit workers' from getting needed rest, says Richards. "The bottom line is people are going to relax ... I don't think we need people to walk into a break room and saying, 'hey, are your eyes closed?' ... The feverish pace that we work at ... you want to be on your best game." The FAA's new scheduling regulation follows another new rule that requires a second controller on overnight shifts at 26 smaller U.S. airports that previously relied on just one controller late at night. Those changes will not only help ensure that airplane pilots have guidance from air traffic control towers at all times, says Richards, they will also ensure controllers will be better able to respond to emergencies. With only one person in the tower, he says, a single controller must guide the pilot in distress, while also calling "the emergency equipment coordinator with the city and the other things that need to be done, and also ... the other air traffic facilities involved." 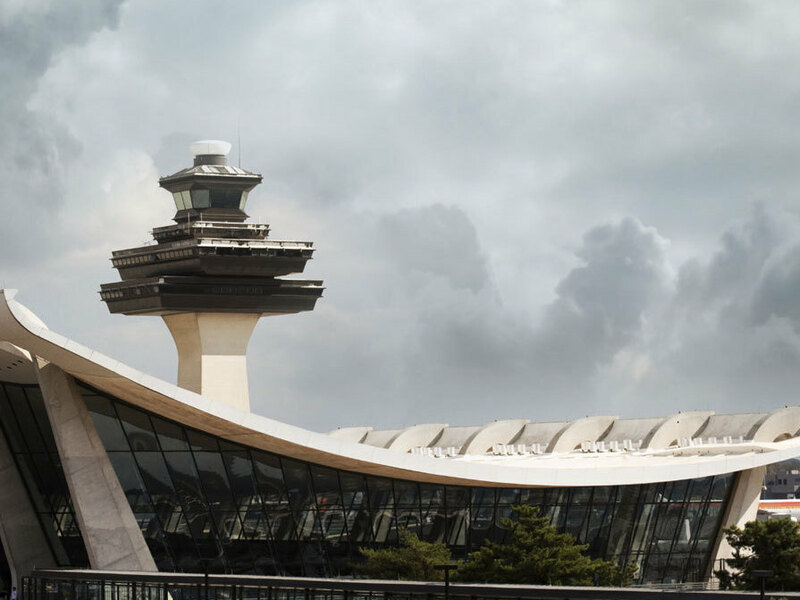 While the incidents of controllers asleep on the job that prompted the changes are troubling, says Babbitt, a former commercial pilot, they have helped usher in important improvements in the air traffic control system. "Safety is our number one focus, and this gives us an opportunity to revisit that and re-emphasize that," he says. "99.9 percent of the controllers do a fantastic job ... The public demands from us our utmost professional work, and that's one of the things we're talking about here, being professional in this job." While Richards says additional changes are needed to improve controllers' quality of life — particularly those that could help reduce high stress levels among air traffic controllers — he says the new changes are a "step in the right direction," and represent at sea change in the culture of the FAA. "You gotta start somewhere, and the fact that we're even starting somewhere is a great sign. Because we haven't even got the ball rolling in the past." The overnight staffing rule, Richards says, "was a major move for the FAA, and one that you don't often see happen as quickly as that happened."